If you’ve done any digital marketing, you know just how important Google is as an ally to your online advertising and marketing efforts. While good SEO will improve your website’s search ranking, partnering with Google for advertising is also an important tool in your dealership’s digital marketing kit. The most obvious place to start is with Google Ads. 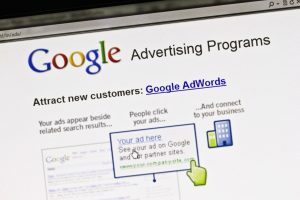 Google began selling advertising after it became apparent it could harness the data people entered into the search engine to create targeted ads. Targeted advertising moved into Gmail and beyond shortly thereafter. Before you create a Google ad, however, there are a few things you should know. These tips will help you achieve greater success with your Google ads, whether it’s your first one or your 100th. Unless your dealership is a highly specialized operation, you’ll likely want to target your local car-buying demographic. It doesn’t do an auto dealer in Edmonton much good to advertise to car shoppers in Quebec City, unless they have a very rare or very specialized car. As a result, geotargeting is incredibly important when it comes to creating a Google ad. Think about who you want to see your ad. Google often has access to its users’ location information, which it can then use to display the right ads. You can help by using better keywords on your ad purchases. This can also help you control costs. Adding your location will help you target the right demographic and keep the cost of winning the keyword bid lower. As noted, you’ll be bidding on keywords for Google ads. When you purchase an ad, you’re in competition with others who want their ad to show up when the keywords are searched. The more generic the term, the more competition there will be for it. That drives up the cost of the ad. It can lower your ROI, especially if you only get a few clicks because your ad is being shown to people who live in Miami or Los Angeles. Choose your keywords wisely when creating a Google ad. You’ll likely want to put a bid in on the name of your dealership. You might also want something like “Mercedes dealership Vancouver” or something similar. Google ads can include text and images. Dealers should pay particular attention to their ad copy because good ad copy makes it more likely people will respond when they see the ad. Chances are you’ve seen some of the low-quality ads that come up on Google, especially for common search phrases such as “lose weight fast.” Most users ignore these ads because the copy is poorly written. The graphics are also not enticing. Ensure your copy is clean and enticing, and you’ll increase your Google ad’s chances of success. Google recently added a message extension option to its paid search ads. Essentially, when someone clicks on your ad, they have the option to send you a message directly from the ad. This is an incredibly useful feature since it encourages potential customers to contact your dealership immediately. As more people are navigating the web from their smartphones, this streamlines communication for them. They no longer have to load and navigate your website to find your contact details. Instead, they can get in touch immediately, and you can begin an open dialogue from the get-go. Creating a Google ad is often one of the easiest things you can do to market your dealership online, and it’s a great tool to keep in your digital marketing toolkit. Keep these tips in mind, and you’ll be on your way to Google ad success.